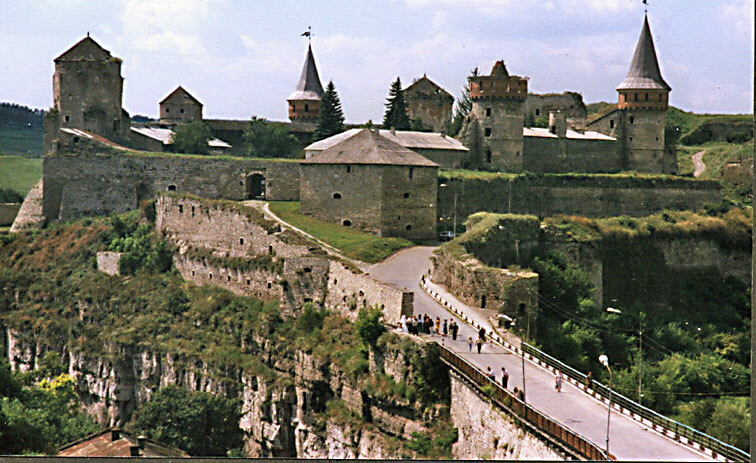 This photo was taken in the Armenian bastion, (6) above the city gate fortifications (5). We see the old castle across the bridge (4). Beyond it on the right is the overgrown bastion trace of the new castle, built for artillery. The photo is deceptive, because the green rampart on which the men are standing in the foreground is far from the bastions that appear directly above it on the right side of the picture.